Tropical forests are both important stores of carbon and among the most biodiverse ecosystems on the planet. 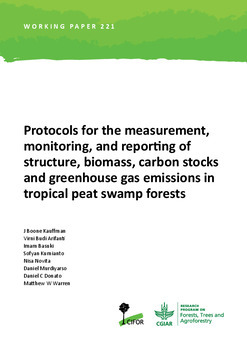 Reducing emissions from deforestation and degradation (REDD) schemes are designed to mitigate the impacts of climate change, by conserving tropical forests threatened by deforestation or degradation. REDD schemes also have the potential to contribute significantly to biodiversity conservation effortswithin tropical forests, however biodiversity conservation and carbon sequestration need to be aligned more closely for this potential to be realized.This paper analyses the relationship between tree species diversity and aboveground biomass (AGB) derived from 1-ha tree plots in Central African rainforests. There was a weakly significant correlation between tree biomass and tree species diversity (r = 0.21, p = 0.03), and a significantly higher mean species diversity in plots with larger AGB estimates (M = 44.38 species in the top eight plots, compared to M = 35.22 in the lower eight plots). In these Central African plots, the relationship between tree species diversity and AGB appeared to be highly variable; nonetheless, high species diversity may often be related to higher biomass and, in such cases, REDD schemesmay enhance biodiversity by targeting species diverse forests. Authors: Day, M.; Baldauf, C.; Rutishauser, E.; Sunderland, T.C.H.